The human population of Cat Island has been dwindling since the 1950′s and there are now roughly 100 permanent residents who work in the fishing and travel industry. 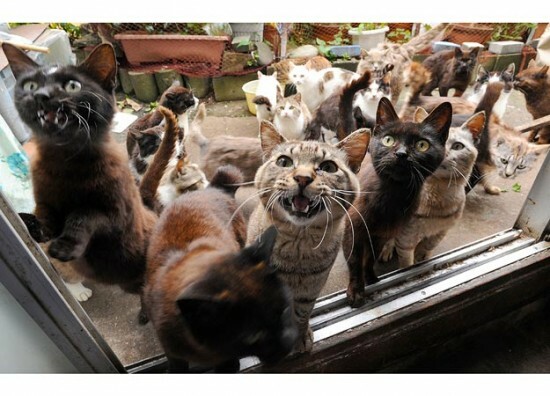 The feline population on the other hand has been thriving under the protection of their worshipers, who made sure that no anti-cat animals (like dogs) were allowed on their island. 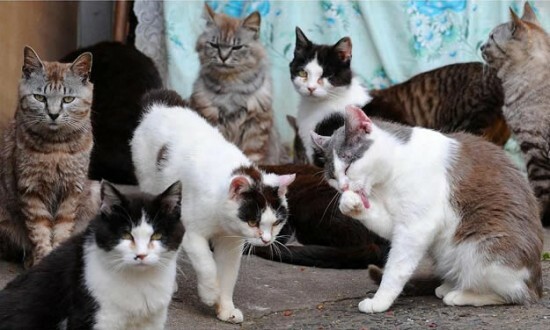 There are now thousands of cats living on Tashirojima, most of them strays, but regardless of their status they are all revered for their good fortune, beauty and ability to keep the rodent population down.